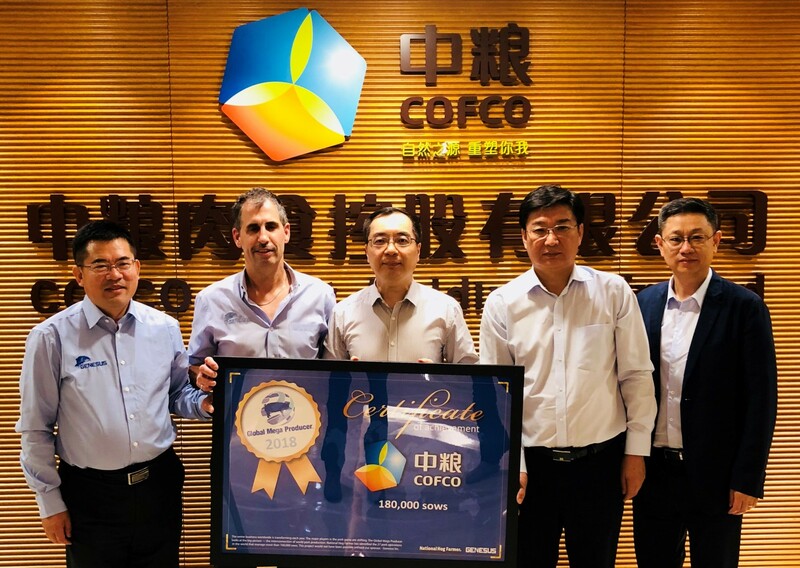 COFCO, a large state-owned enterprise Headquartered , was ranked 122 out of top 500 companies in the world by the American Fortune magazine in 2017. COFCO Meat is one of 19 specialized company platforms in COFCO Group. COFCO Meat owns hog farms, two slaughtering plants and two meat processing plants strategically located across China. COFCO Meats has developed two core meat brands, Joycome (fresh pork) and Maverick (processed meats). COFCO Meat carries out a vertically integrated value chain and strict procedures for supervisory control policy in their production system. Pork production covers 6 different provinces. Mike Van Schepdael – Vice President of Genesus Inc.
Mr. Xu Jianong – General Manager of COFCO Meat Investment Co., Ltd.